Below is a list of our favorite local restaurants. 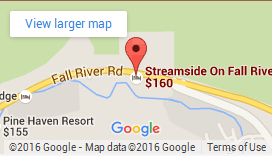 Stop by the Front Desk to make dinner reservations (highly recommended in summer) and get driving directions. We also have a book of local menus to peruse.